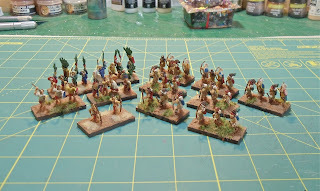 Today I finished the last DBA army I was painting for Dennis. This is a Tarascan/Toltec-Chichimec army IV/19(a). I believe the figures are all from Black Hat Miniatures. This army is predominantly a bow army with some blades and a war band thrown in. 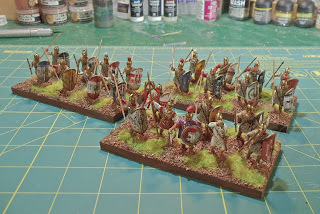 Next on my paint table is some Martians and more Carthaginians. 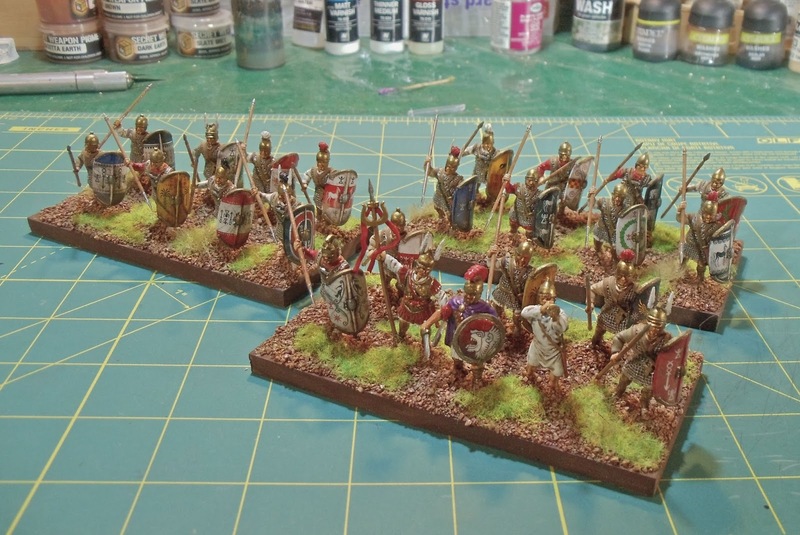 Tonight I finished the first units for my 28mm Carthaginian army. These three bases are of Hannibal Veterans. Figures are multi-part plastic and are from Victrix's new Warriors of Carthage boxed set. You want to talk great value, this box is it. I goes for 30 quid, so now it's about $78,395 Cdn. But for 30 quid you get 62 plastic figures: 24 Hannibal Veterans, 24 Libyan Spearmen and 14 Libyan Javelinmen. Take that GW and your over priced shite! 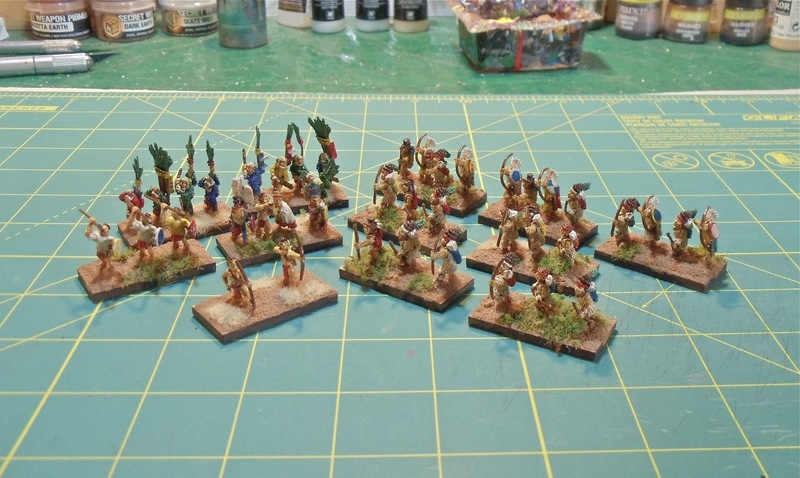 On my paint table right now (and almost finished) is the last of the Meso-American DBA armies I'm painting up for Dennis. This should be done in the next few days hopefully. 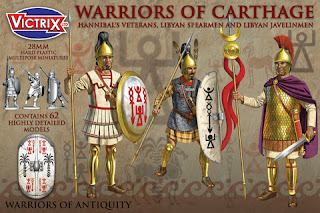 After that I think I'm going to do some more Carthaginians and Martians.